Since this year’s Valentine’s Day cards are already in the mail, I decided to upload this early. 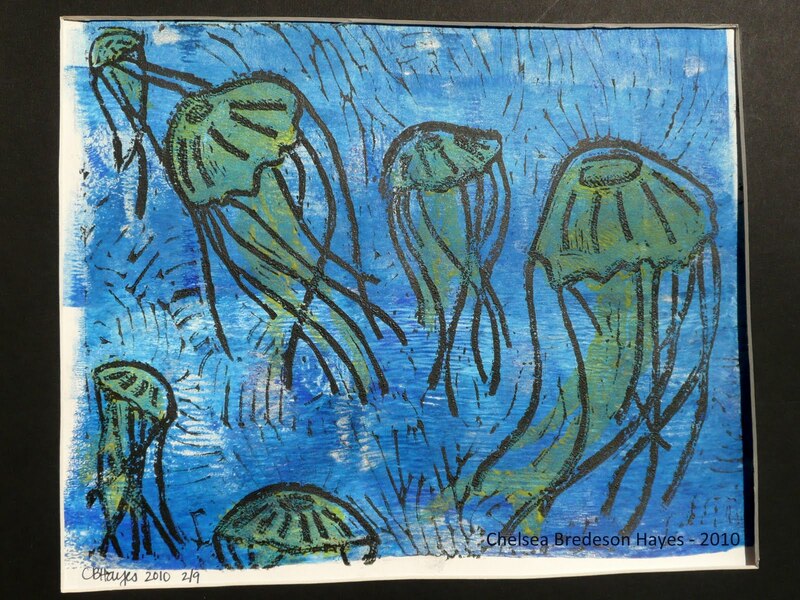 This year I decided to do several variations on the print. One set was my multi-cultural set with different shades of browns for the paper. 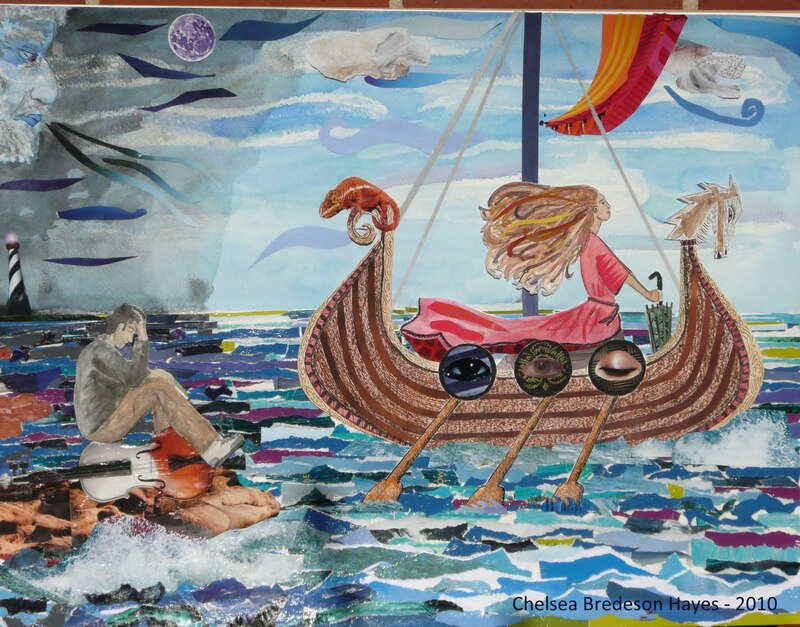 I used a variation of hues for the ink – red, magenta, and silver. The silver ink was very interesting to work with – for one, it smells quite a bit like a permanent marker, and two it takes a great deal more drying time than the other non-metallic inks. The end effect of the silver ink on the maroon and dark brown paper showed wonderful contrast. 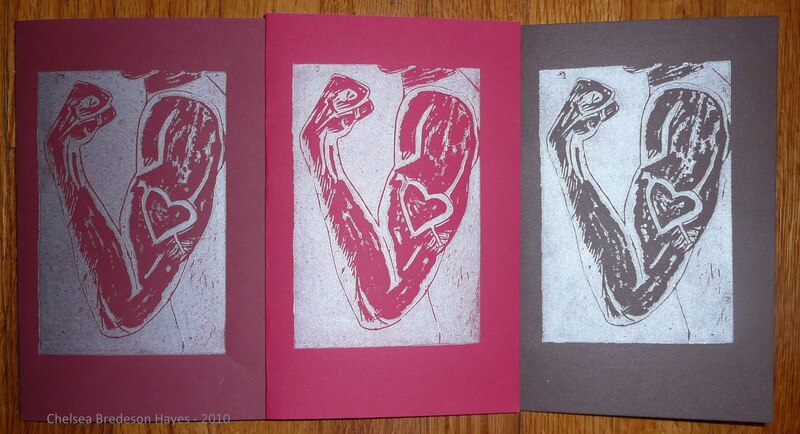 Valentine’s Day cards, block print on colored paper, 2010. Multi-cultural set showing red & pink ink. 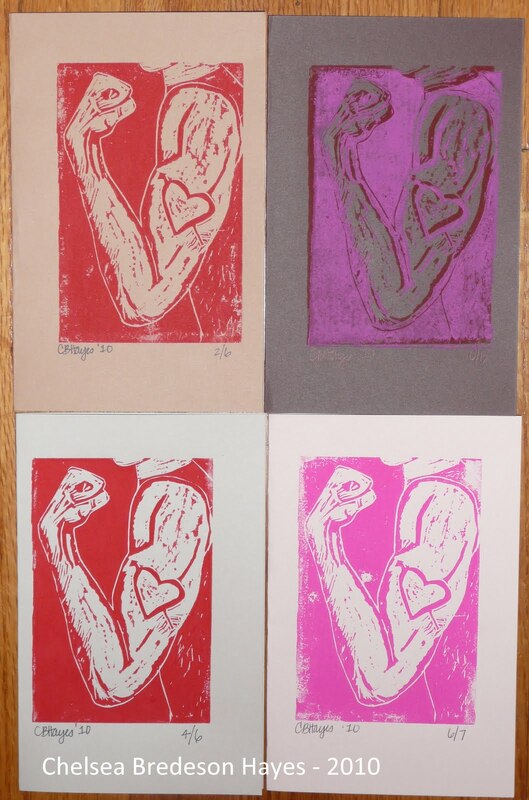 Valenetine’s Day cards, block print on colored paper, 2010. The set of maroon, red, and brown paper with silver ink.